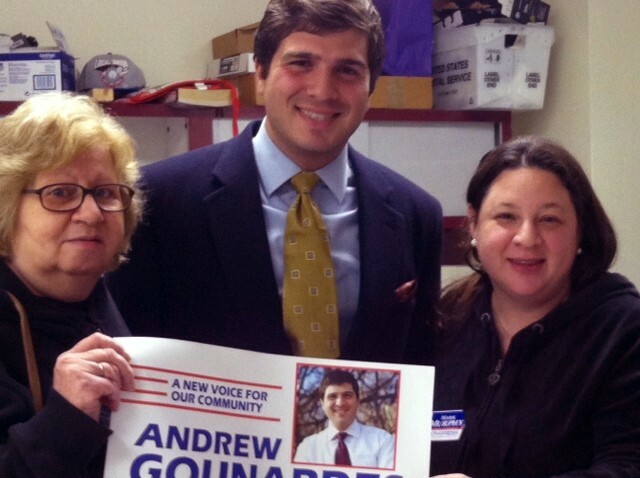 DFNYC Members teamed up with South Brooklyn volunteers to talk to voters about Andrew Gounardes this evening! This year, we have a real opportunity to take back the State Senate, and this is one of the key races. Andrew is running against incumbent Republican Marty Golden, the "charm school for women" guy. Here's DFNYC Brooklyn Linkup host Rosalie Caliendo (left) and DFNYC Veep Jen Berkley (right) with Andrew himself! To learn more about Andrew's campaign and get involved, click here for the campaign website, or contact Chris McCreight at chris-at-andrewgounardes.com (replace -at- with @) or 347-422-7422. Presidential Debate #3 Watch Parties!! When: Monday, October 22, 9 p.m. The debate starts at 9 p.m. The conversation, and the beer. start flowing by eight! Come out and support President Obama in his final ever debate! DFNYC Day of Action for President Obama in Pennsylvania!! Join us for a special DFNYC event on Saturday, Sept. 29th as we board a bus to the Lehigh Valley to campaign in Pennsylvania for President Obama. Recent polls indicate that the President has gained momentum in the Keystone state, so we have to work hard to make sure he keeps his lead in this crucial swing state. We are co-sponsoring this trip with our friends at ACT Now and thank them for making this joint endeavor possible. Time: 8am (sharp) to 8pm. Place: Meet the bus at Union Square (15th & Union Square East) in front of Babies R Us. Bring: Comfortable shoes. Light snacks, water will be provided. We encourage you to find ways to support these candidates in the coming weeks. 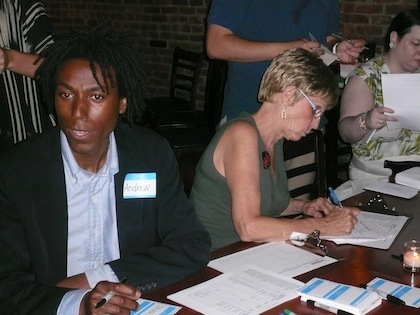 DFNYC will be having a letter writing/phone banking event on Sunday for Dean Dozen candidate Elizabeth Warren. 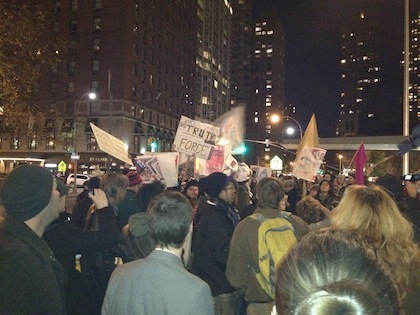 hosted by Move On organizer and longtime DFA and DFNYC member Arlene Geiger. Please come if you have the time! FYI, the Dean Dozen has been announced in every cycle since 2004. The very first member of the first Dean Dozen was a young, then unknown state legislator running for U.S. Senate from Illinois. A guy named Barack Obama. Good News! 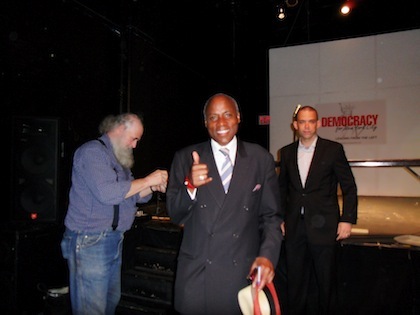 DFNYC-endorsed candidate Lincoln Restler has just received a big endorsement - Congressman-Elect Hakeem Jeffries!